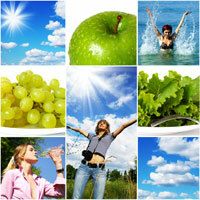 Great health allows one to enjoy every aspect that life has to offer. So, lets look at health problems from the viewpoint of people who know how to live a healthy life. The truth is that to be healthy and fit is the simplest thing – it only requires to have a true data about health and willingness to apply it. We’ll give you the data, the willingness is upon you. Looking for a more convenient lifestyle, our society developed a huge health care system that turned into a mechanism operating at precisely adjused automatism but the number of sick people is increasing rapidly. The medical establishment does not have answers for ultimate health, and it never will as it is heading in the wrong direction. The current system of public healthcare has four major mistaken points. Treating symptoms of diseases instead of determining the causes and eradicating them completely and preventing their occurrence. Ignoring the fundamental that the body is not mechanical but a biological system, where each part is dependent on the others, and trying to cure separate parts or organs instead of taking the whole body approach. 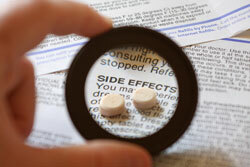 Using medicines, which are essentially toxic that cause new health problems. The words medicine and drug are derived from the Greek word pharmakon, meaning “poison” and consequently, pharmacology means “study of poisons”. The public heath practitioners are not healthy or not completely healthy themselves, which indicates a lack of knowledge in the field of health where they are considered as an experts. In actuality, the current healthcare system is established on pharmacology, so it is nearly impossible to avoid drugs causing health risks called “side effects”. It would be much more reasonable to assume that health practitioners should be allowed to practice if every year or so they pass their own general health examination proving that they know how to stay healthy. Otherwise it is just a complete absurdity and appears as “the blind leading the blind” since health practitioners and the scientists inventing medications don’t know how to secure their own wellbeing. As examples, the ophthalmologist who wears glasses or contacts or the foot doctor who suffers from feet arthritis.To get unhealthy doctor to cure you is like hiring a mechanic to fix your car who himself drives a wreck. Only people who are healthy should be granted authority to give health advices. Lets turn the things around and get a New Slant on Health! The health of the body and eyes in particular basically depends on three following aspects. I. The first and most vital aspect is food. The basic concept of food in current society is utterly mistaken. Most of food is dead. The more live food you provide to your body – the more life you will add to it. Read article “Right Die” for answers. II. The second aspect is toxins. Toxins in the foods we eat, in the air we breathe (and from other sources) should be recognized and avoided. Read the article “Toxins” for resolutions. III. The third and no less important aspect is emotions. Negative emotions can easily trigger pain or discomfort which then can turn into chronic conditions or diseases, even if the healthy diet is followed. Read the article “Emotions” for understanding. It might look at first like too many things to take care, but read the articles, try to comprehend – the whole idea of health will appear as a pure logical concept, easy to understand and use, and…there’s really no any other way. So, knowledge is a power and it also will make you healthy! Every single discomfort or pain is only a manifestation of the violation on this three aspects. In the case of an acute condition, the medical approach should be considered as it may save one’s life. But hopes that medications or supplements, or just drinking some special water alone can fix health problems are simply delusional. The three aspects above must be considered with all responsibility by everybody who cares about their life and wellbeing. Each cell in our body is smarter than all our scientists taken together. The human body is an astonishingly sophisticated, enormously powerful self-regenerating live biological engine where food could be considered as a gasoline, emotions as oil and toxins as stones which will ruin engine entirely. If this aspects paid attention with responsibility and proper steps are taken, your body will restore itself and you will always enjoy your good health and great shape! Application of preventive techniques in the field of health must be expanded to match and overcome the magnitude of the currently-used treatment practices, and made a basic for public health care. That’s the only answer for the future heath of our civilization. The future is bright and you, dear friend, are invited there right now! Good eyesight, healthy eyes, healthy body – is one complex thing, take responsibility for it with great help of The Secret of Eyes!